Posted March 16, 2012 by artastikcreations in Henna, Uncategorized. 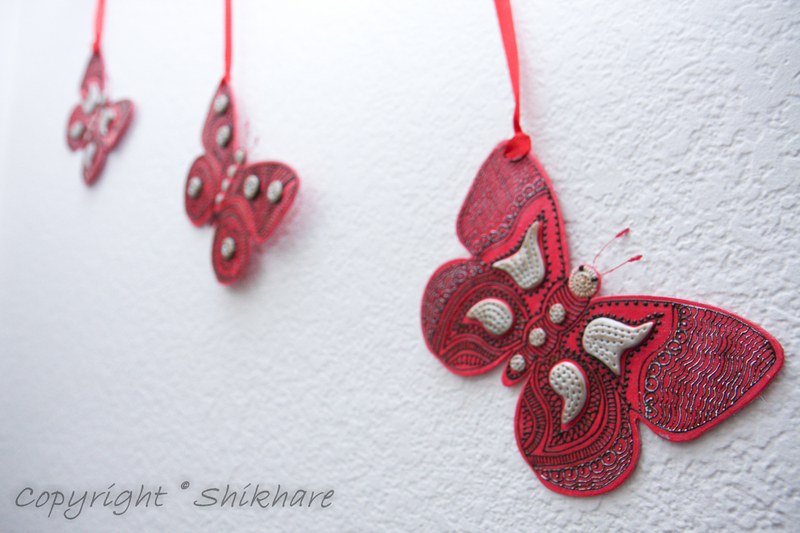 Tagged: Art Class, butterflies, butterfly, clay, crafts, flowers, henna, India, Indian, Mixed Media, polymer clay, Spring. Comments Off on Spring is here! I love all the things that surround spring. The pink flowers in bloom… with grey cloudy backdrop -I absolutely love this sight! Clouds make me feel happy! The raindrops have been my favorite since I was in my elementary school. The hot summer months came to an end with the warm raindrops. The earth smelled so fragrant that it felt delicious! Once in a while I remember even being tempted to eat it :)…..ha..haa Now I know that it comes from my vitamin deficiencies. Nevertheless, monsoon months are so much fun to get drenched!! In this part of the US, mother earth needs to quench her thirst at a completely different time of the year. It felt quite absurd when it rained in November and again in January and February! As an Indian born and raised as a warm weather creature, I was used to the cyclic nature of monsoon -June through September. Rain at other times meant wastage of crop, weird weather, birds not understanding what’s going on. Even for me it was weird for the first couple of years from India to US to feel this change of weather. And as days and months went by, as I got acclimated and assimilated, these weather boundaries made no difference to me. I was still left with my joy for clouds and rain! During these beautiful months of spring, the flowers are in bloom, shouting out loud that ‘I am alive!’ Little creatures start multiplying! One day, with my handsome little boy, I was reading an article on Monarch Butterflies and their half year visit to Santa Cruz, California. This prompted me to work with the theme of Butterflies. I promptly started on my action plan and made some cute creations. 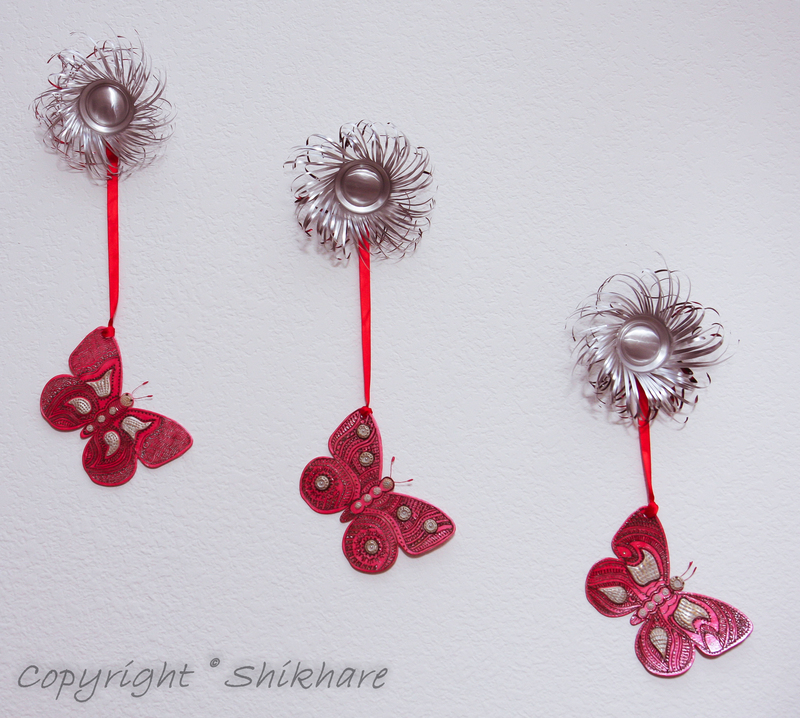 My little fluttery creatures turned out quite nice. I loved the simple design of henna and the use of several textures. My handsome little boy loved the use of metallic buff.